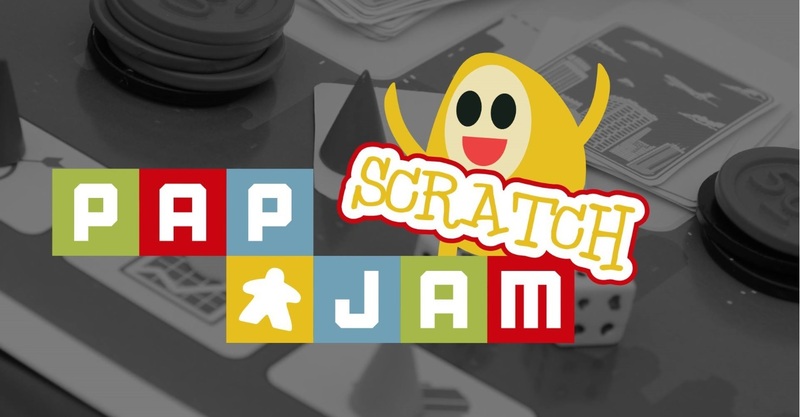 PapJam Scratch is all about making a board game in 3 days from … scratch. We will supply the location in the heart of Copenhagen, a heap of cardboard, bits and pieces and even a place to sleep, if you need one. You can bring an idea, a team or even nothing but your own good company. There will be talks, there will be prizes and everything will be in English or bi-lingual. Well, a game jam is a bunch of people getting together and creating games. And with board games (unlike video games), that means you don't need to know anything other than how to play a board game. More info to come once we get closer to the event. The judges found this game to be the game with the most potential.